Click on Editions in the left-side menu. Select the Run for which you want to assign a Location. 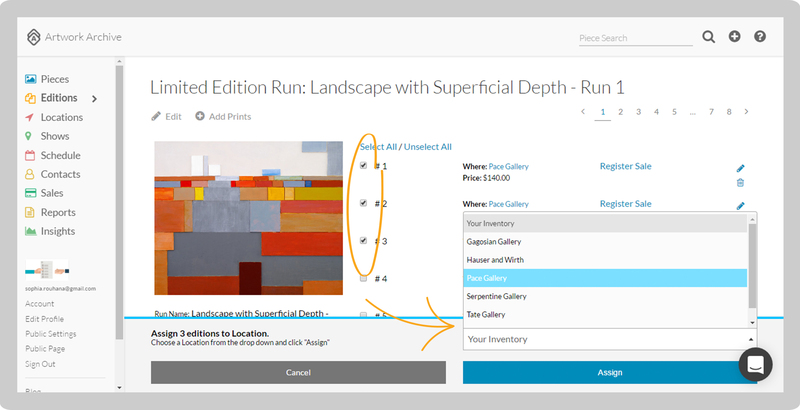 Check the boxes of the individual Prints/Editions that you want to assign to a specific location. Choose a Location from the drop-down menu and click the blue Assign button. Or, click on Pieces in the left-side menu. 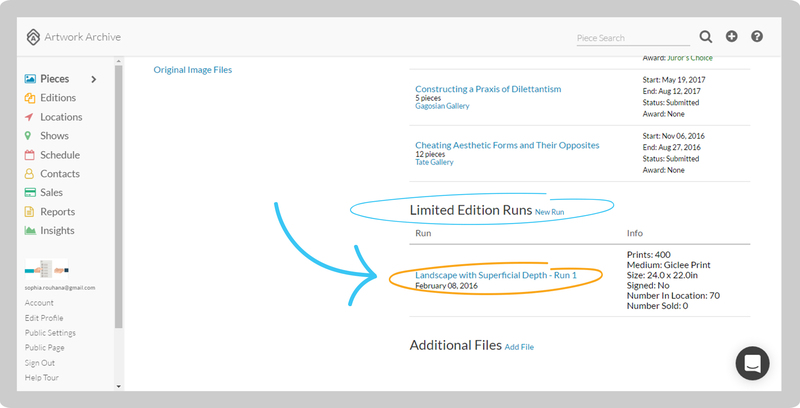 Select the Piece for which the Run was created and scroll down to Limited Edition Runs in the right-hand column. Select the Run for which you want to assign a Location. 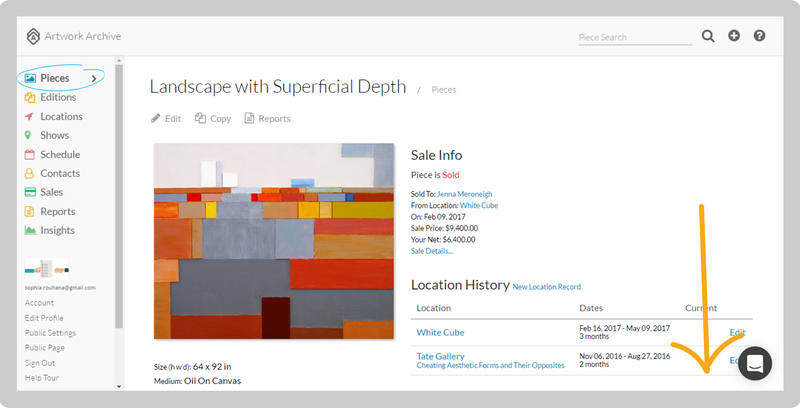 Check the boxes of the individual Prints/Editions that you want to assign to a specific location. Choose a Location from the drop-down menu and click the blue Assign button.